In quidditch, we like our opinions to be popular. We hype the same players, back the same teams and utilize the same surface-level analysis. The Eighth Man’s annual USQ Cup Unpopular Opinion article seeks to break from that mold, with a series of takes about USQ’s major event—all of which are judged to be outside the norm of popular opinion. Now in its fifth year, the Unpopular Opinion article has been the kind of mixed bag of surprising successes and embarrassing failures you could expect from the world of risk-heavy prognostication. We’ve had the highs of calling the University of Maryland’s and the BosNYan Bearsharks’s Final-Four runs and the lows of predicting a Lost Boys championship at World Cup VII and a college-only final last year. So far, we’ve gone 2-for-3 at World Cup VI, 6-for-9 at World Cup VII, 4-for-6 at World Cup 8, 2-for-5 at USQ Cup 9 and an encouraging 5-for-8 last year. So which opinions excited us this year? Let’s jump right in. Let me take you back to World Cup VI. For the first time, the tournament was outside of the Northeast, and, for the first time, Middlebury College was not attending. Attempting to fill the five-time champion’s shoes and hold up the Northeast’s torch were a pair of Boston schools: Boston University and Emerson College. The results were disappointing at best. Not a single team from an East Coast state even made the quarterfinals, with Emerson and BU dispatched in Sweet 16 blowouts and no other teams in the region even making it that far. That year, the University of Texas and UCLA all but redefined how quidditch was played on their ways to a historic championship match, and it seemed like the East Coast had been left behind. But it didn’t seem that way for long. Emerson returned with a vengeance at World Cup VII, defeating BU in the quarterfinals to reach the Final Four. The following year, Maryland made a semi-final run on the back of one of the strongest senior classes the sport has ever seen. 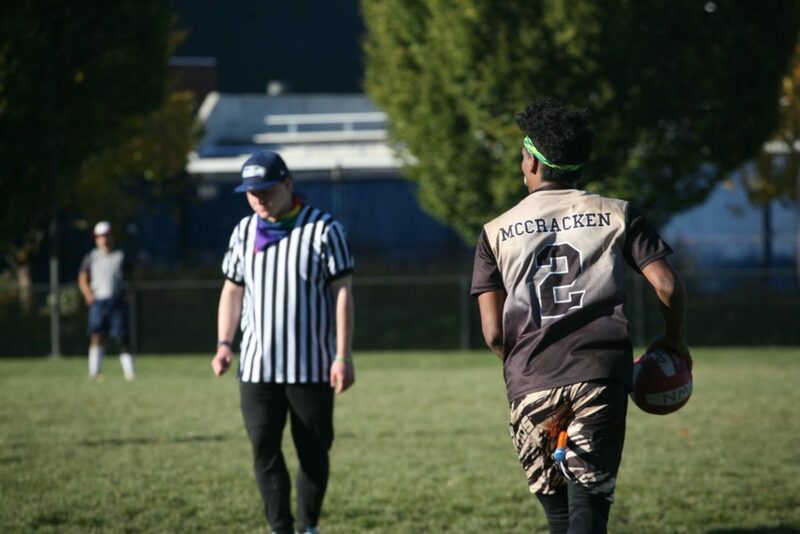 A year after that, Quidditch Club Boston evolved into its modern iteration and took down the title, before splitting its roster in half and serving in part as the foundation for the BosNYan Bearsharks’s run to the last four just a year ago. While World Cup VI had felt like the East Coast being left behind, five years later it remains the only Nationals to not feature an East Coast team in its semifinals. At least until this year. For the second time in the sport’s history, Nationals will move to a new region, and, once again, it will be the East Coast teams left behind. Many of the advantages the east coast has held for years at Nationals are now gone with the shift of the tournament to Texas. Gone are the shortest flights, gone are the early morning games against players whose bodies think it’s 5 a.m. and gone are the majority of supporters. Instead, it is teams from the Southwest–a region that has dominated the sport for half of a decade–that will get to roll out of their own beds Saturday morning to play in front of crowds full of their fans. But this is not simply about the logistical advantages. The East Coast is just not equipped for a particularly competitive Nationals, a mix of a number of top college programs having down years and club teams facing roster issue, from depth to injuries to lack of dedication. Let’s start on the college side of the spectrum. The two true hopes for a Final Four East Coast run are Maryland and the University of Rochester, a pair of teams conveniently tied for seventh in our pre-Nationals rankings. The Terps sit at 26-1 on the season but have an incredibly weak strength of schedule, lacking a single game outside of the underwhelming Mid-Atlantic this season. Their home tournaments failed to attract much in the way of big fish; and they failed to attend Oktoberfest Invitational, a tournament they had never before missed and that is all but a prerequisite for a top team playing in a pushover of a region. Their beater game has remained largely influx since the graduation of Jeremy Dehn and Mike Madonna, a worrisome situation in a division largely defined by its top beating games. In many ways, they are last year’s Arizona State University, a team that got fat on regular-season blowouts before bowing out early in bracket play. I see no reason why Maryland would be any different. Rochester, on the other hand, does not have a strength of schedule issue or a beater issue, but instead has a massive depth issue. This is a team that has shown it can go exactly as far as Basem Ashkar, Perry Wang and Steven Belitzky can take it. Their other major contributor in the quaffle game, Sean Benjamin, will not even be at Nationals. Three players is not nearly the level of depth you need for a deep run in a Swiss tournament, and it’s hard to imagine this team running off three straight bracket play wins. Switching over to the club side, there are four Final Four contenders from the East Coast: Boston, The Warriors, the Bearsharks and Rochester United. Each of the four has its own shortcomings. Boston has almost as little depth as Rochester. The Warriors have no guaranteed high-level performances at beater. The Bearsharks loaded up even more talent than from last year’s run but have not clicked at any point this season. Lastly, United remains built around a player–Shane Hurlbert–that has not been 100 percent all season. On top of these internal issues, the draws were not particularly favorable for these teams. You can make the argument that none is favored to win its pool. Boston are likely underdogs to Texas Cavalry; Rochester and The Warriors have a pool with Lone Star Quidditch Club; and the Bearsharks have to survive in a three-way battle with the Los Angeles Gambits and Nomads (NW). If all of them come up short of winning their pool, they would all have to enter bracket play in the play-in round, giving them another round for their flaws to be highlighted and taken advantage of. Running off even one win in this club bracket will be a tall order, and each of these teams could need two to reach the semifinals. After 10 years on the East Coast, the Nationals pendulum is finally swinging. I believe the Southwest will capitalize on it. The Southwest should grab at least two Final Four spots at each level, if not three at the college level if the bracket breaks right–a level of regional dominance not seen since World Cup VII. This leaves little room for the rest of the country, and for the reasons listed above, I just do not believe the East Coast has what it takes to find its way in. Ever since their collapse against Lone Star in Swiss play at World Cup 8, in which they threw away a 70-0 lead against the eventual tournament finalists, the Los Angeles Gambits’ snitch-on-pitch play and strategy has become a running joke, dominating much of the conversations surrounding the team. But, despite their poor record in SWIM situations this year, as well as their struggles at the West Regional Championship, I believe this Gambits team is primed to make a run to the Final Four. Entering the season, the Gambits seemed to have gained the depth they had sorely lacked previously, thanks to the acquisition of a large UCLA graduating class. While the newly-acquired pieces have not fully clicked with the team so far, their experience using the former Bruins in different places on the depth chart should pay dividends at Nationals. Having Grant Rose back up Tony Rodriguez will be vital against the lower-seeded teams, allowing Rodriguez to catch a few extra minutes on the sideline to save himself for bigger games, while Elizabeth Allendorf is a great passing option for their first line. This team should also benefit from their other personnel acquisitions, building up depth that has so often alluded the Gambits in the past. Former University of Kansas chaser Shane Bouchard adds an extra level of physicality to the team, while Zach Chiu and Sarah Kneiling allow for Steve DiCarlo and Alyssa Burton to stay fresh for snitch-on-pitch play without leaving the team overly susceptible to being run over in the beater game. Perhaps the most compelling argument for a Gambits Final Four run is their pool draw. Having already played Nomads (NW) in-range with Rodriguez and DiCarlo sitting much of the match out, they should like their chances to finish second in their pool behind a talented BosNYan Bearsharks. Without a prominent threat from a lower seed in their pool, and with their Nomads and BosNY games on day one, the Gambits will be able to rest their starters more than usual heading into their first-round bracket match. After that, their potential matchups include the winner of Pool B or Pool C, each of which will have gone through a gauntlet on day one, or a Lost Boys team they see all of the time. With their stars being able to limit their minutes early on, the Gambits are in a prime position to land their first Final Four appearance. Facing a complex schedule of two tournaments, four six-team pools, four 16-team flights and 12 pitches, USQ made things more difficult on itself than it realistically needed to on Sunday morning. It booked all 24 club teams to play simultaneously. Not only do most of these games feature quidditch played at its highest level, maximizing the difficulty in refereeing or snitching them, but they also render many of the playing referees and snitches, who come largely from club teams, unavailable. On top of that, this time slot is immediately followed up by half of the college Round of 32 games, meaning 16 top college teams also cannot provide head referees, referee crews or snitches to the matches. College teams already eliminated will have little-to-no reason to show up that early, and, if they do, many would be expected to show up in street clothes to enjoy a day of quidditch. On top of all of that, the tournament has access to just 11 non-playing referees. Logistically, it all builds up to the kind of volunteer nightmare that haunts the dreams of top tournament directors. All of that said, I’m trying out my best Aaron Rodgers impressions and telling everyone to relax. Instead of immediate, reactionary, Mike Madonna-esque hot takery, let’s look at what we are really dealing with in this time slot. In the past, when early bracket play rounds have suffered from volunteer quality, it was because, like in this situation, many top volunteers were unavailable and every game featured teams of reasonably similar talent levels whose seasons were literally on the line. Every game mattered, so every game required, and deserved, the best of the best when it came to officiating and snitching. This, fortunately, is not the case for the 10:30 a.m. time slot. Right off the bat, three matches are likely to feature two already eliminated teams: DCQC vs. Bad and Rougie Quidditch Club, the Long Beach Funky Quaffles vs. Philadelphia Honey Badgers and the Rain City Raptors vs. Silicon Valley Skrewts. Two more matches will likely have bracket qualification stakes, but feature teams of vastly different skill levels: United vs. Southern Storm and 290 Bluebonnets vs. The Fighting Farmers of America. Another two matches are likely to only be for seeding: Nomads (NW) vs. BosNYan Bearsharks and The Warriors vs. Lone Star Quidditch Club. Just like that, we have trimmed the focus from an unwieldy 12 games to just five. And while these five games include some doozies, those in charge of the volunteer schedule will have the flexibility on Saturday night of reviewing the exact stakes of each game and giving the best staff to the games with the highest stakes. While some matchups could suffer from this plan, it would be matches with little relevance, protecting the integrity of the tournament and its most important moments. It is likely inexcusable for USQ to have even backed itself into this corner. But, given that they have, the situation could undoubtedly be worse. While volunteer issues could easily pop up as we transition into bracket play, I do not expect this 10:30 a.m. slot to be a talking point when all is said and done. 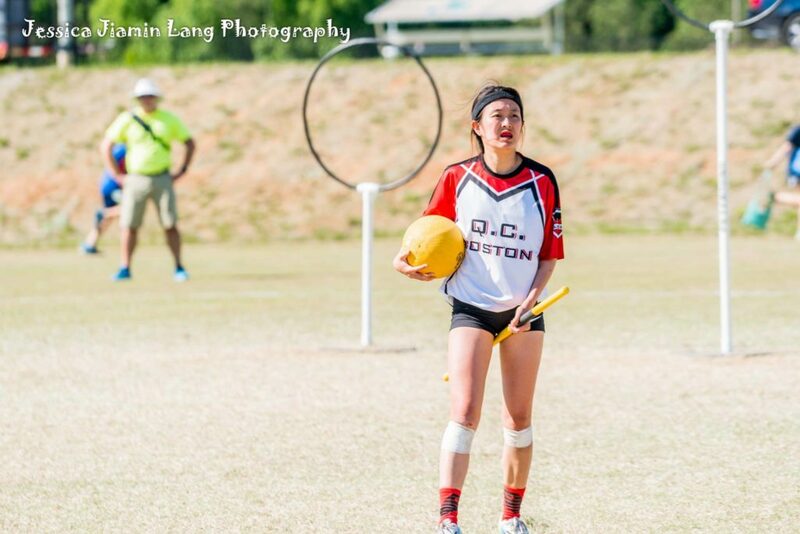 The Mid-Atlantic is sending no shortage of club teams to US Quidditch Cup 11. With one team in every pool, you would think the Mid-Atlantic would be able to rack up a decent numbers of wins, based on sheer numbers alone. But, in this case, quantity does not equal quality and, sans The Warriors, the region has had a down season that I expect to continue into Nationals, with DCQC, Nomads Quidditch and the Philadelphia Honey Badgers all going winless. DCQC holds seed and defeats Bad and Rougie. The Nomads got just about the worst fifth seed draw imaginable in 290 Bluebonnets. They drew a team of very experienced former Texas and Texas State University players who are complemented by several stars of the League City Legends. Members of this Southwest squad have previously taken down far stronger opposition than Nomads, including Texas State’s win over Lone Star in Swiss at World Cup 8 and the Legends upsetting the Los Angeles Guardians at the 2016 MLQ Championship. The Nomads’s best hope at snagging a win is instead going to be beating the Fighting Farmers of America. Because of the parity in the club division this tournament, most games will be in snitch range and this one should be no exception. Farmers are looking good in that regard, compiling a 5-2 record in SWIM situations thanks to a dominant seeker rotation of Porter Marsh and Nate Western, while the Nomads are just 2-4 in similar opportunities. The Nomads have the ability to put this game out-of-range, but I doubt that will be the case. DCQC has a history of successful Nationals performances, but those days are over. This year’s squad was already lighter on talent than past iterations, with former stars like Max Miceli, Erin Mallory and Andrew McGregor no longer with the program, but—at time of press—the squad is also missing seeker Darren Creary and veteran beater Colby Palmer from their roster. This makes their hopes of pulling the kind of stunning upsets they’ve managed in the past almost non-existent. The lack of top-end talent could even make them at risk of upset by the like of Bad and Rougie. If DCQC is a watered down version of last year’s squad, Bad and Rougie is the same for Gulf Coast Gumbeaux. The latter has several players that have carried both the New Orleans Curse and Gumbeaux for the past few seasons. The combination of Charlton Tramel, Kody LaBauve and Michael Sanders will be hard to stop–even for seasoned DCQC veterans Ben Mertens and Katryna Hicks and Team USA chaser Bernie Berges–leaving a game that will likely hang on the balance of a snitch pull. And, if one grab goes the wrong way, DCQC could find itself a disappointing 0-5 at Nationals. The No. 4 University of Missouri was undoubtedly the biggest winner of Selection Tuesday. Their flight—which features no regional champions, just one other The Eighth Man Top 10 team and roughly one or two teams that can realistically compete with them—gives them the easiest imaginable path to a high seed in this Swiss format. After making the Final Four in a combined club-college Nationals a year ago, a quarterfinals appearance in a college-only Nationals would seem to be all but a formality. But lost in last year’s semi-finals run was just how perfectly everything had to align in order for Mizzou to make it that far. A team with no depth, the Tigers were able to rely on a short rotation in the friendly confines of a pool-play format. They earned a pot-one placement, then drew a pool with a pot-two Northwest team, a pot-five Southwest team and no Northeast or Great Lakes competition of which to speak. They rode the highs of a hot seeker in Dominic Stelzer, who won them three straight snitch-range games in bracket play and helped Mizzou finish 8-3 in SWIM situations for the 2016-17 season, and then bowed out gracefully in the Final Four. They ended their season with just three losses. A year later, things are not coming together nearly as smoothly. After depth proved to be their biggest weakness a season ago, many expected the Tigers to focus on fixing it. But, instead, the team has continued to rely exclusively on their first line in big games. Beyond Jacob Parker and David Becker, some workmanlike performances from Cole Jost and Vincent Woolsey is all their development really has to show for itself. The flights may have broken perfectly for Mizzou, but the Swiss system is built to make you work for your seed on day one, and a pair of potential matchups with Miami University (Ohio) and No. 9 UTSA—who already almost scored an upset on them at Alamo Cup, falling 200*^-160—will require much more effort than Mizzou’s last Saturday at Nationals. Stelzer remains a dangerous threat in the seeking game, but injuries have limited his effectiveness throughout the season. The Tigers are just 4-5-1 in SWIM situations. 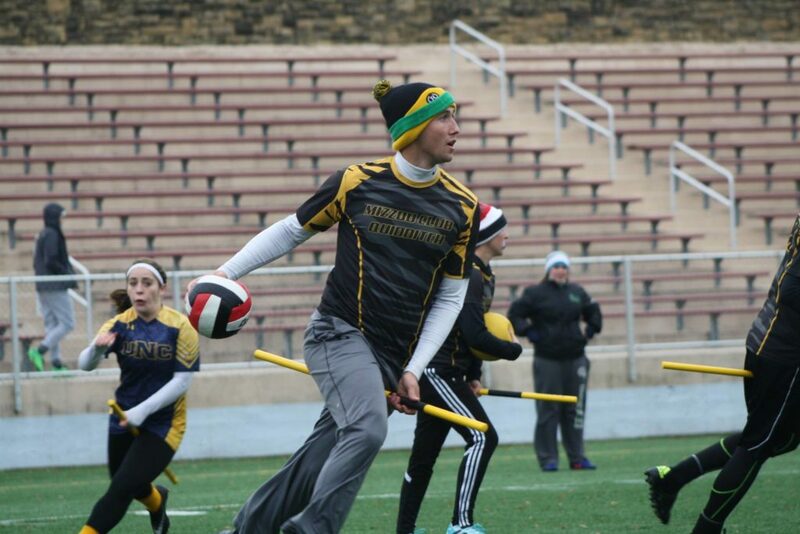 Not only is the team struggling to put away lesser opposition–losing in October to the University of Michigan–they are no longer remaining competitive with more talented teams, with a 170*-30 loss to The Warriors and a 210*-40 loss to Lone Star Quidditch Club. They are also just 1-3 against the rest of the collegiate Top 10. Based on last season’s run alone, it is obvious that the top-end talent of Parker, Becker and a healthy Stelzer can take this team just about all of the way. But doing so would require the team to not stumble in a pair of potentially competitive flight matchups, to avoid the injury bug, to get Stelzer hot again and to draw well in bracket play, where the depth of Flight A will likely litter the bracket with low-seeded landmines. And, in my opinion, the smart money is on lightning not striking twice. After a Heroes vs. Villains Invitational run that saw the Nomads take out Lake Erie Elite twice, Cal Quidditch, the Los Angeles Gambits and Twin Cities Quidditch Club, the Nomads became known as the one of the league’s most athletic yet controversial teams. Their incredible athleticism has carried them to a one-loss record entering Nationals, but they are still not viewed by many as a contender. Their tendency to get into foul trouble and a lack of elite beating has been a huge question mark this season, but I believe a good draw in pool play could be the lucky break this team needs to break out and reach the club finals. The Nomads’s high-pace and extremely-physical play style might lead many to believe that they will burn out by Sunday afternoon, but much of their core of athletes grew up playing football in southern California, making them well-adapted to long days of contact in the sun. 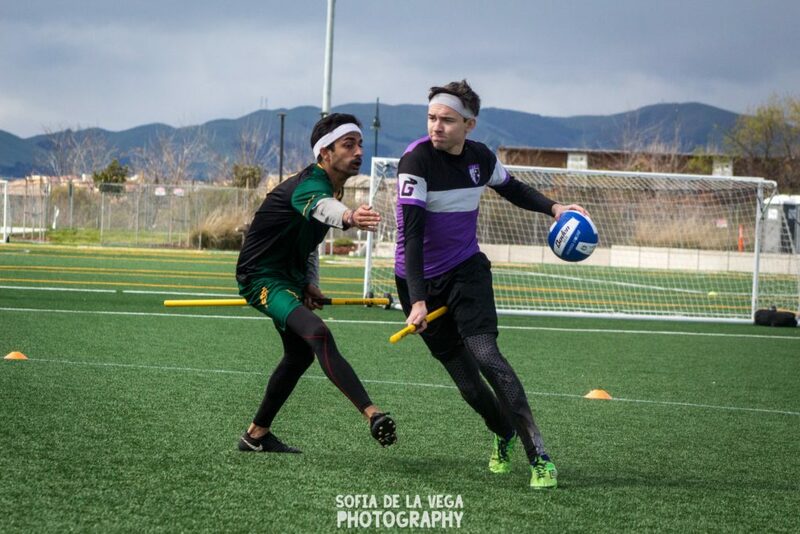 With eight Nomads players hailing from a football background and three more coming from hockey, this team has managed to turn their pure athleticism and stamina into a quidditch powerhouse. Whether they are able to compete strategically with long-time stalwarts like Boston and Lone Star is yet to be seen, but their pure physical prowess can outmatch anyone. While the term “impossible to stop on the drive” is thrown around regularly, no phrase better describes the Nomads’s ball carrying core of Matthew McCracken, Stew Driflot, Nick Vandy and coach Bryan Bixler, who is returning from injury. The Nomads’s greatest strength is their fierce and aggressive play, but it is also their greatest weakness when their play style gets them in card trouble. In the Nomads’s only loss of the season against Arizona State at Heroes vs. Villains, star beater Brenden Bixler and starting keeper McCracken both carded out just a few minutes into the match. At one point, the Nomads had three players simultaneously in the penalty box. For much of the season, this team has been able to put up points and gain advantages on others while shorthanded, but in a two-day tournament, and against smarter competition, it will be harder to replicate this success. But, if McCracken and company can keep their tempers in check, their ability to dominate teams at even strength will make them an almost unstoppable force. Losing to Arizona State and falling behind early to the Lost Boys during the Heroes vs. Villains finals also highlights the Nomads’s weakness against top-tier beaters. The Nomads’s beating group of Bixler, Joel Johnson, Wyatt Egger and Alex Johnson are athletic and quick enough to take advantage of most beaters, but they lack an elite talent in that group that can take over a game and carry the team when necessary. Yet, in a pool that generally lacks elite beating from top to bottom, this may not even be an issue for the team until very late on Sunday. Luckily for the Nomads, their pool draw was just about as favorable as possible, as they were able to avoid United, Texas Cavalry and Lone Star. They have already proven they can beat their pot-two team the Gambits, and their pot-four, -five and -six opposition should be completely outclassed. If they can utilize their agility against a slower Bearsharks team, the Nomads can win their pool and be dropped directly into the quarterfinals, where it is very possible they can ride their athletic advantages, and some friendly matchups, all the way to a medal.